These Sticky posters are super easy to apply. 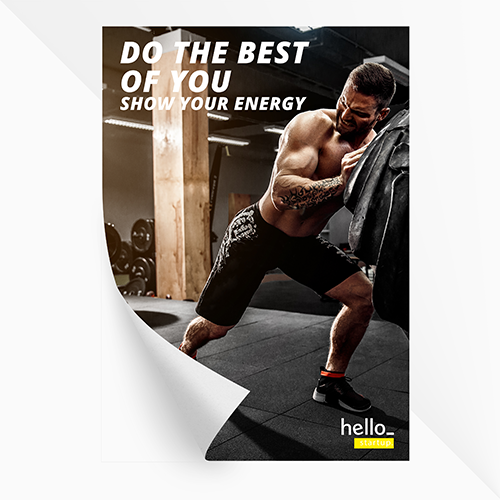 The backing is a studded surface, equiped with a sticky layer which makes it super easy to display your poster everywhere. With these posters it's possible to stick and re-stick your posters very fast. If you hold on to the backer you can use your Sticky posters multiple times. Note that the posters only sticks to dry and flat surfaces. Our recommendation: 10 sticky poster A1 size! 2 How many posters would you like? Prices shown are per one design. For multiple designs, add multiple items to your cart. In order to keep our prices low, we offer standard quantities. Need a higher quantity? Request a quote here. To allow leeway for cutting differences in production, always add a bleed of 3 mm around all edges of your design. Make sure colours, background pictures and layouts extend into the bleed area so as to avoid leaving white lines as a result of cutting tolerances. You can submit your file with crop marks and printer's marks but we would prefer a file without them to ensure that you get a perfect quality print. Keep all important text and images at least 4 mm away from the edge of the finished size. A poster is an unfolded sheet of paper, often larger sized, which is suspended / pasted on windows, walls, columns or plates. 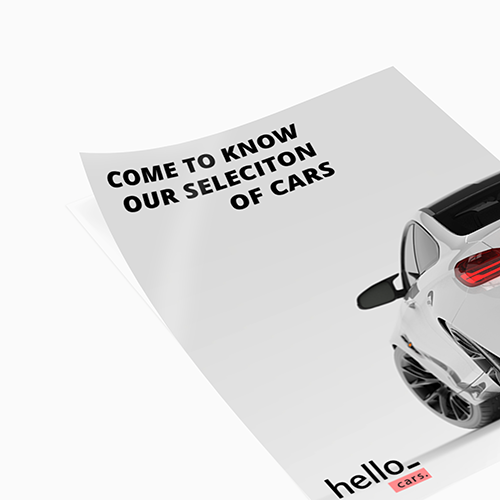 Large sized posters stand out impressively and you can be sure that they catch people’s attention. Digital printing uses four colours (CMYK) with toners and inks to print digital files. This option is comparable to large home printer, and is cheaper than ‘litho’ printing for smaller quantities. This is because there are less starting costs, less components involved, and no ink drying time necessary. For the delivery of your sticky posters we use multiple carriers. Because of the highest reliability, in most cases we use UPS or DPD. The sticky posters that is chosen in most cases can be selected via our website. Will my affiche be folded at the delivery? No, the posters will be delivered rolled up (large sizes) or flat (small sizes). 135gsm gloss mc: This papertype is the best choice when you're going into the big numbers. Especialy when you want to make an impression with the lowest possible price. a7.35-115gsm blueback: This type of paper is mainly used for pasting on triangle plates, two-signs and billboards. 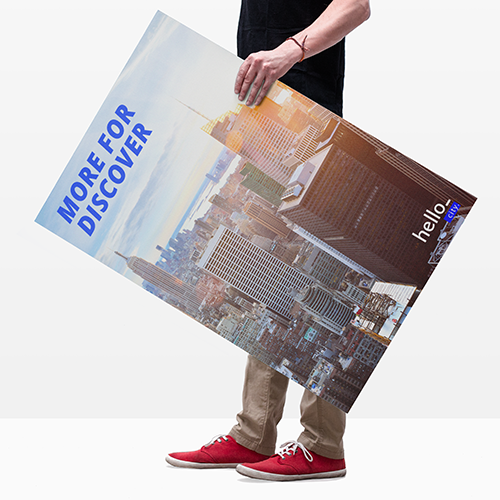 The blue back ensures that these posters are not see through, allowing you to paste them easily on another poster. 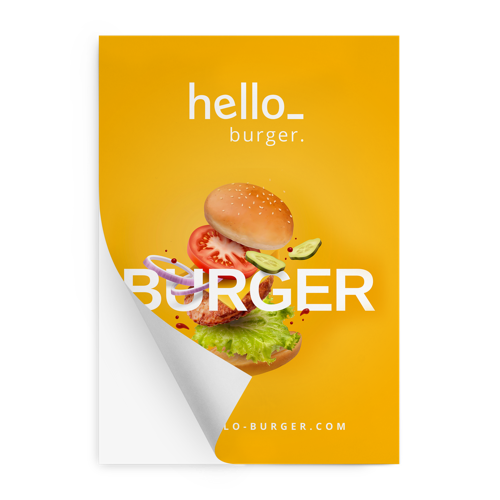 In addition, these posters are made ​​specifically for outdoor use and have a much better adhesion than normal print, because of coarse structure of the back. 170gsm waterproof PVC: This type of paper is ideal for outdoor use. The prints are water-resistant and are not easy to tear. Therefore, it has a long-life time. Photo paper 90 gsm: Has a very high colour intensity and is outstanding sharp. The whiteness is extra high. Suitable for portrait images, art or landscapes. As with most photo papers, they are intended only for indoor use.